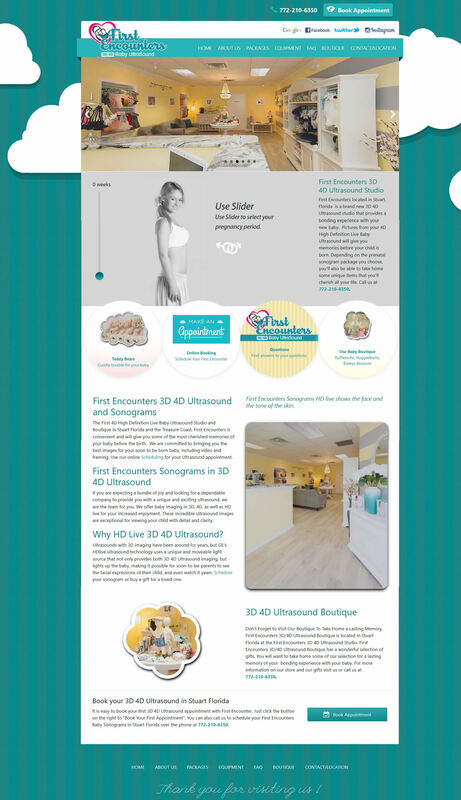 Tatem Web Design created a CMS content management system in Wordpress for My First Encounters Baby Sonograms in Stuart Florida. In this CMS solution, we have included the Baby store, the medical 3d/4d Baby Sonogram rooms, Baby Sonogram Packages and integrated online scheduling, an about us page, and a contact us page. We handle their marketing, SEO, and website promotion on a montly basis. We also handle any montly updates and page builds requested by the client.